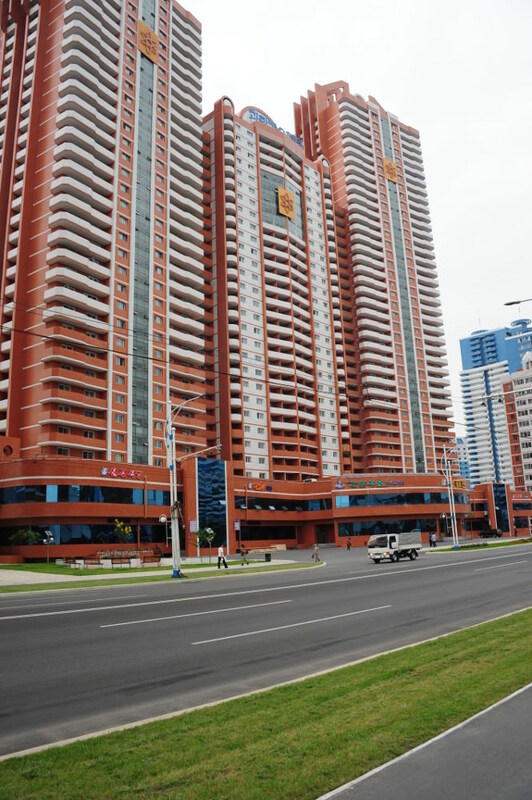 A high-rise residential district along the banks of the Taedong River featuring some very colourful and interesting architecture, including a building with an atom-shaped design. The apartments are for staff of Kim Chaek University of Technology, thus the street is called “Mirae Scientists Street”. Ask your guide about a walk here. 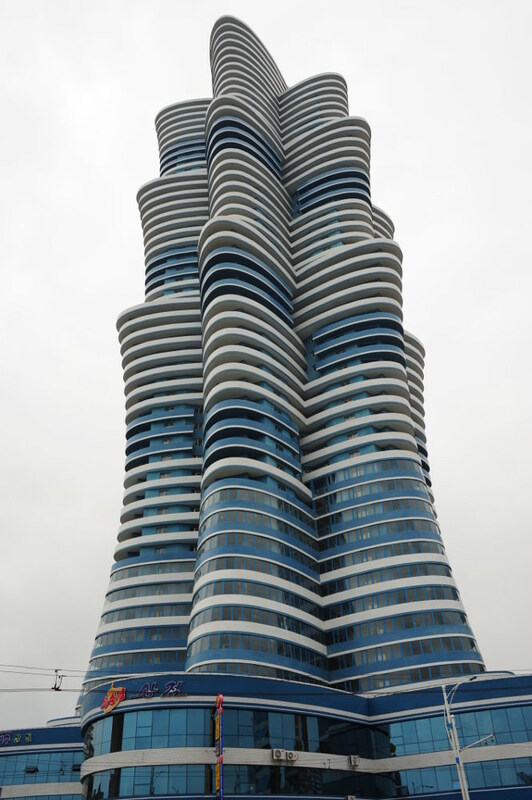 One of Pyongyang’s Italian restaurants is here. Pizza and pasta—eating here is out of pocket. 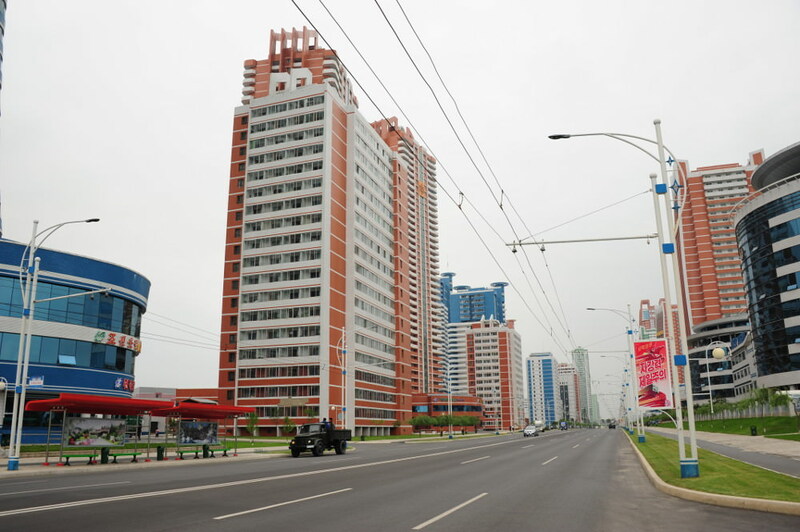 The major construction project that was this street was mentioned frequently in the North Korean media during 2014 and 2015. The term “Pyongyang Speed” was used to describe the rapid construction of this area. 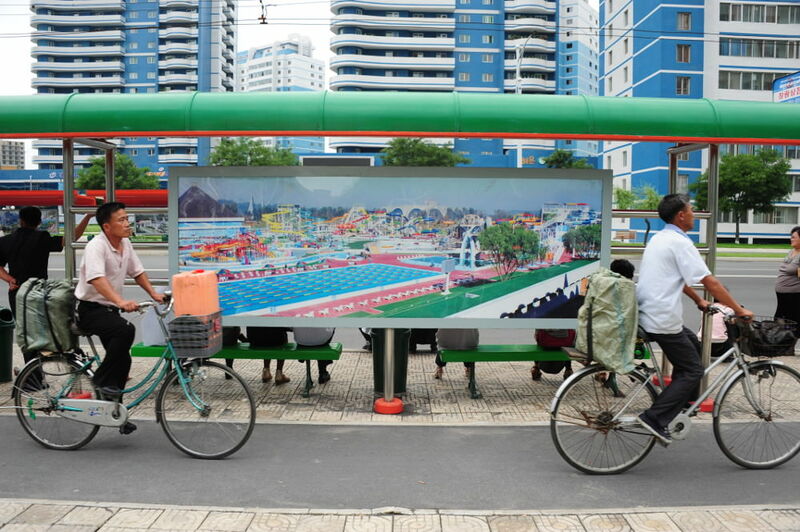 “Pyongyang Speed” is a throwback to a slogan from the 1950s post-war reconstruction Chollima Movement. 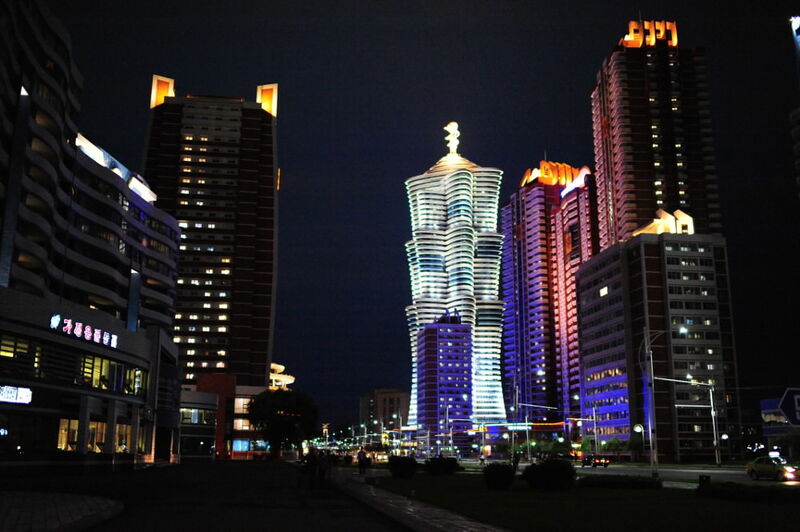 In the 2010s there’s also been “Masikryong Speed” (Masikryong being the ski resort near Wonsan), and “Mallima Speed” (“man” 만; 萬 means 10,000 miles as opposed to the 1,000 mile horse that is Chollima). “Mirae” (미래; 未來) means “future” in Korean.